Founded in 1991, Odey Asset Management LLP is a London based multinational investment firm for institutional investors, private banks and individual investors around the world. 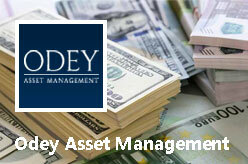 Headquartered in London; Odey has two other international office in New York and Geneva. New York NY 10022, USA.